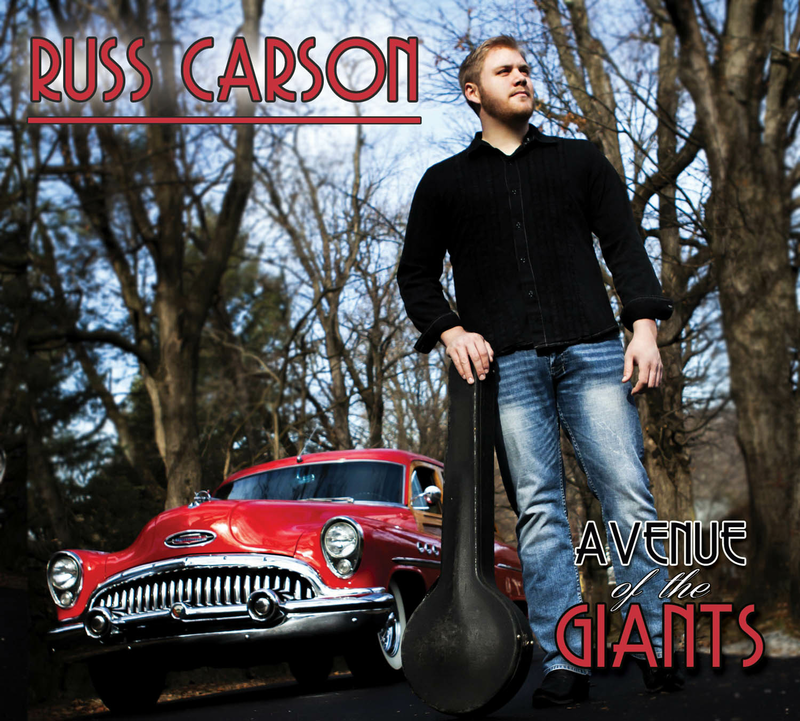 CD-256 Russ Carson "Avenue of the Giants"
A few notes into his solo and you quickly get the sense that Russ Carson is having the time of his life, Sstring banjo in hand and a big, friendly smile across his face. And that's just in the green room, a little warmup before the band even hits the stage. Then it'stimeto crank it up a notch, or ten. Time to put the banjo mic through its paces. A bit of field testing to see if the modern gadgetry can deliver all ofthe heart and soul that a flesh and blood musician has to offer. That same drive and energy are to be found here as well on Russ's latest solo album "Avenue of the Giants". 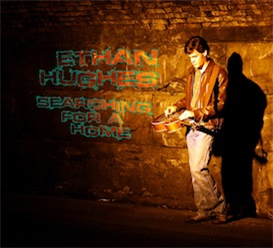 It's got the banjo notes right where I like 'em, right there at the edge where they reach out and insist that you become a part of the music, too. No spectator sport here. You're in the front row where you might just get called up to render your best 'air banjo' at any moment. Russ and producer Jason Moore have put together a collection of traditional and original songs and tunes that showcases not only the banjo but the entire ensemble. The core group, with Moore on bass, includes Russ's former bandmates from Redline, Audie Blaylock on guitar and vocals, Patrick McAvinue on fiddle and Jesse Brock on mandolin. Add Kenny Smith on lead guitar with Darrell Webb and Eddie Rose on vocals and you've got an album that connects Russ's respect for tradition with his eye to fashioning his own musical cosmos. The title track originated with Russ at his Pennsylvania home and continued to evolve during a West Coast tour that took him through t he California redwoods. "I wanted [to write) a song that could match the old ancient feeling of the trees that surrounded us", Russ told me. 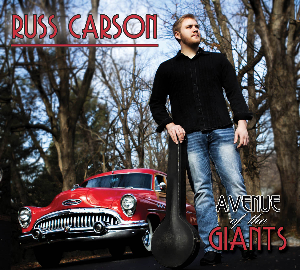 "Avenue of the Giants" serves the dual role of encore tune for this disc and perhaps as an intriguing gateway to more Russ Carson banjo originals for the next. foregoes both picks and frets, doing his part with Reed Martin's copy of the fretless 1863 Joel Sweeney banjo. In between all of the welltimed banjo notes there's some great bluegrass singing by Eddie Rose, Audie Blaylock, and Darrell Webb, with musical nods to James King ("Letters Have No Arms"), Alison Krauss with the Johnson Mountain Boys "Let Me Rest") and featuring Don Stover's classic "Things In Life" as well as Ray Edwards' "Heartbreak Hall of Fame". 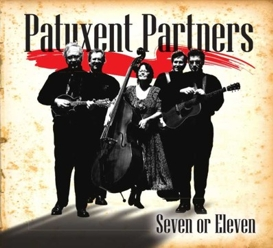 On the picking side of things, there's no finer groove in bluegrass than the one laid down by Blaylock, Brock, and Moore, with outstanding solos from Patrick McAvinue, Jesse Brock and Kenny Smith the perfect match for Russ's banjo work. As of this writing, Russ has just joined Ricky Skaggs and Kentucky Thunder. Russ Carson is one of t he finest banjo players you'll hear today. There's a spark to his playing that takes you back to the bands of years ago. Before a lot of music had the life squeezed out of it. Before things were so processed and equalized and "adjusted" that the music was forced into being perfect. But there's nothing at all forced about Russ's music. In fact, it's better than perfect. 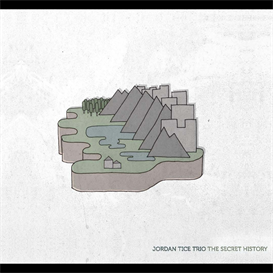 It's really, really good.